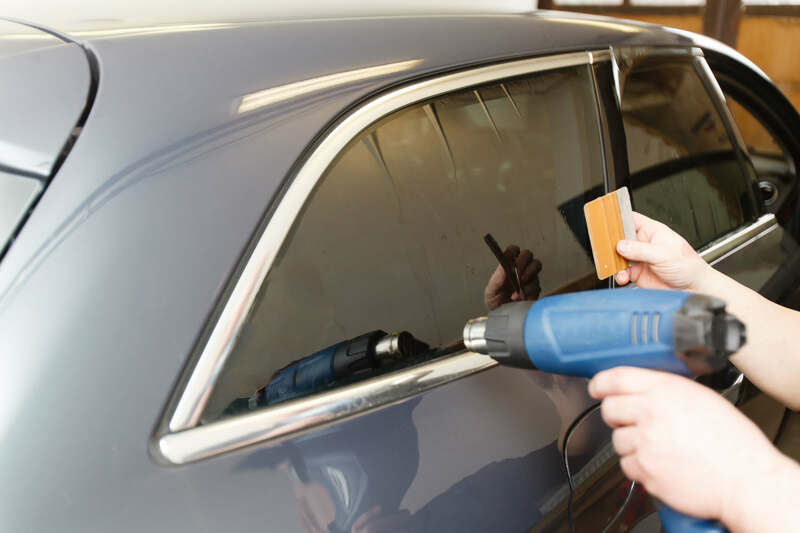 There are a lot of misconceptions surrounding window tinting practices, and the possible benefits window tinting can provide for your vehicle. When window film was invented just over 50 years ago, it changed how window tinting was applied to automobiles. Before window film was invented, people typically used a spray-on tint to bring a darker shade to their windows. The problem with spray-on tint was that it was generally too dark and uneven. 3M invented the first window fil in 1966, and have been redesigning and improving on it ever since. Even with all those great advantages that window film can provide, there are still some questions car owner’s tend to ask before having it applied. Here are some of the most common questions people ask before having window film installed. There are still some skeptics out there that think window films are temporary and expendable. These skeptics believe that window films are easily damaged and that they don’t last. They envision that after a year or so of use, window films will start to fade, bubble, and peel. This is not true. 3M window film is very durable and can last for the life of your vehicle if applied professionally and properly cared for. In the early days of window films, these fears and conceptions may have been warranted. However, today’s window films are built for longevity and durability. Does it actually do what it is supposed to do? This time the skeptics are concerned with the effectiveness of window film. Does it actually work? Again, the belief here is that the protection window films are meant to provide will diminish as the sun continues to beat down on it. Once again, these worries have no merit. 3M window film is designed to endure prolonged exposure to the baking sun. That is its chief purpose. 3M window film is created with a type of adhesive technology that holds up over time. A 3M window film installed by a professional, they will continue to provide protection from damaging UV rays, and the hazardous elements. Are window films compatible with low emissions glass? Low emission glass is becoming much more common in today’s vehicles. Low emissions glass, or Low-E glass is designed to reflect solar energy, providing the vehicle with insulation and resulting in a cooling effect. Low E-glass is a made with light, highly reflective materials that have low emissivity. Darker colored materials tend to have a higher level of emissivity. So, many car owners are concerned about the window film negating the useful affects of Low-E glass. In reality, window films have zero negative effects on Low-E glass, and the two actually work together to provide enhanced protection. Are all window films the same? The short answer is no. No, they are not. Cutting costs and going for a cheaper film, can seriously backfire and end up having the opposite of the intended effects. It is advisable to do some research and talk to a professional to determine which window film will be most effective for your purposes. Where can quality window films be purchased and professionally installed? A perfect resource for window films and window tinting services is the In N Out Car Wash and Detailing Centre in Brampton. If you are looking for expert tinting technicians using top-of-the-line products in the Brampton, Mississauga, or Toronto area, the In N Out Car Wash is a highly recommended option.